Meet Nate. He is a super sweet, smart 8 year old currently in a 6 month therapy program for Convergence Insufficiency. Here, you see him working with prisms on the walking rail. Prism lenses are a key component of vision therapy programs and are considered a medical device. 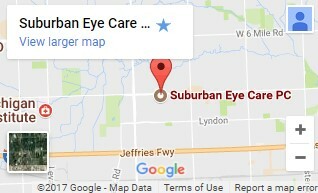 They should only be used under the guidance of a qualified doctor. A prism causes light to bend toward the base, which changes the location at which light falls on the retina. This causes a shift in the space the patient is viewing. Nate is wearing yolked prisms – there is a prism over each eye; both turned in the same direction (up, down, left, right). The first step of a yolked prism activity deals with awareness. I want to see if the patient is aware of the shift in space, and in what direction. Nate was very observant, and quickly told me which way things appeared to have shifted as soon as I turned the direction of the prisms. His visual awareness has grown a great deal in the last few weeks of therapy. If you look closely, you can see the thicker part of the prism he is wearing is on his right, which means everything he is seeing appears to be shifted to the left. This can make it quite difficult to balance on a beam! As he tried to walk across the beam, Nate exclaimed “My brain is freaking out right now!” Which is kind of the point. This was another observant statement, as he was very aware of the mismatch he felt between what he was seeing and what he felt as he was moving through space. This mismatch can feel quite disorienting at first, almost like you are on the tilt-a-whirl and about to fall over. Imagine the visual and spatial skills you would obtain once you are able to not only walk across a balance beam, but doing so while your entire view appears to be shifted. Nate has learned some new skills so far in his vision therapy program, and with this activity we are working on his spatial awareness and ability to adapt. Because the prisms throw his vision into a state of disequilibrium, he needs to adapt and match his motor input to his new visual input. Nate worked hard on this activity. 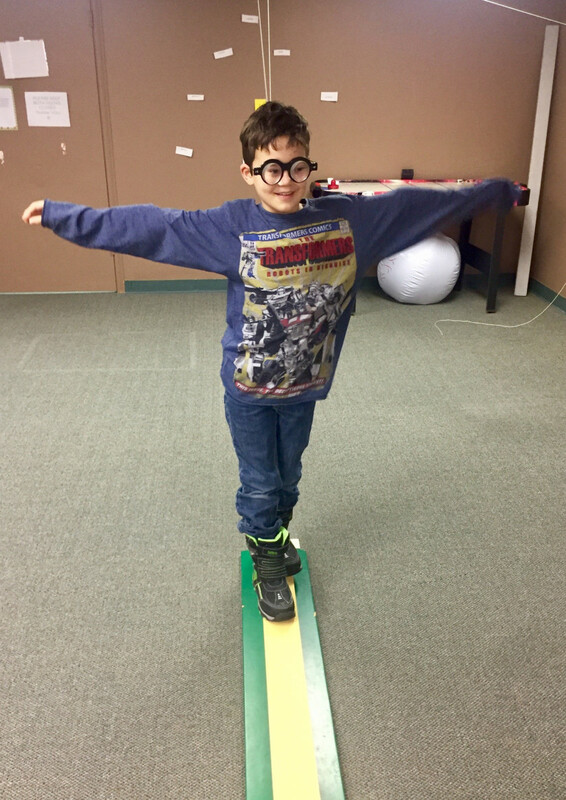 Though it took a few tries and changes to his posture and thought process, the smile on his face when he managed to successfully walk the entire length of the beam was just another example of the pride and sense of accomplishment vision therapy patients feel as they gain new skills and control through their individualized therapy program…and that’s what this is all about. Great job, Nate!